With its practical and functional Blomus design, Alinjo preserves the simplicity as a reference: a winning bet! 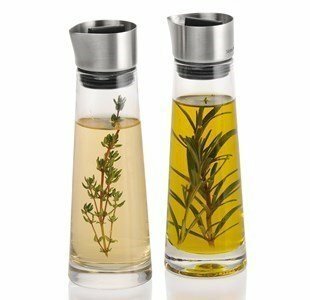 An aroma duet.... always together as Romeu and Juliet... Alinjo is your chosen carafe. Mix olive oil with basil, thyme, rosemary or chili and a pintch of salt.... Mix vinager, balsamic, with black pepper ou sage.... hummmm... delicious!! !